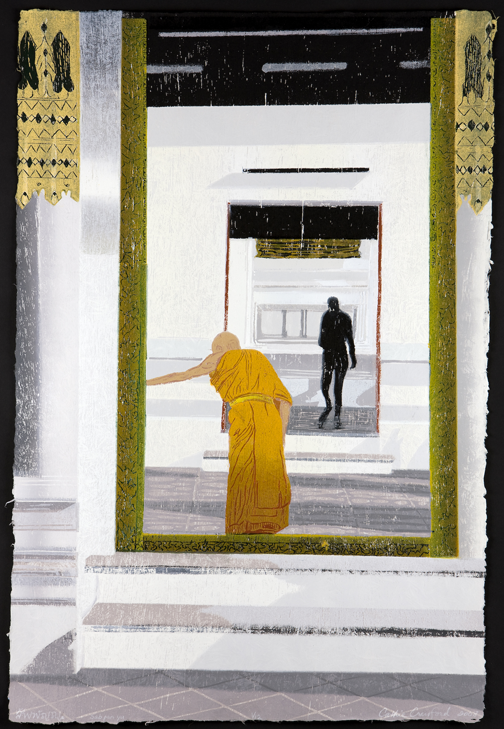 A photograph from a trip to Thailand and an interest in Buddhism as well as contemporary theology evolved into this woodcut print. As the small frail monk leaned into one doorway, a tall western man was approaching from an opposite doorway. He was only a shadow in my photo. East meets West.